Orange County Web Design and SEO Company | Web SoCal, Inc.
You want your business to be profitable. If you are looking to grow your business and boost your online presence, look for the best Orange County web design and SEO company. Web SoCal can help promote your business through its website design and SEO services. You are automatically reaching thousands of potential customers. The internet is worldwide and its reaches know no bounds. With a professional website you can get customers you would never have dreamed of years ago. An online presence is crucial to business; it separates the pros from the amateurs. Because many people do the bulk of their shopping online, if you don’t have a website, potential customers may either miss out on your message or consider you an amateur. The more polished your website, the more professional your appearance will be to consumers. A website is an up-to-date catalog. Your website is like the brochure your father’s business used to hand out, except it’s better. You can update the information regularly and can rest assured the data will never be outdated. Websites are inexpensive. These days, after initial website design, all that is required is an affordable monthly fee to keep your website going. Compared to old-fashioned ways of advertising, this is dirt cheap. It speaks “search engine language.” SEO is a strategy that uses the way search engines such as Google work, and then optimizes the chances of your business rising to the top of those searches. It uses data about what people actually search for to create keywords that are likely to provide access to your content. It removes roadblocks that prevent your content from being easily searchable. 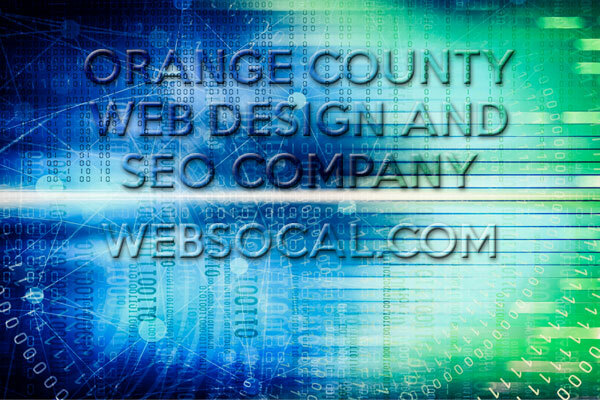 One Orange County web design and SEO company that can boost your company’s online presence is Web SoCal. Whether it be custom web design or development of websites for mobile screens, Web SoCal leverages its team’s varied experiences in different industries to make websites polished, professional, and easy to navigate. The team’s decade of experience with SEO tactics can help your business get off the ground, or even rise higher. A new or upgraded website can help your business grow. Visibility and credibility are key in the internet age. An Orange County Web design company such as Web SoCal can give you the tools to multiply your customer base.